Are The Golden Knights Better Than Last Year? They won eight of the first nine in franchise history and never lost more than three in a row until the final four games of the year. They had a 13-game point streak mostly during a 12-1-1 month of December. They put up five five-game win streaks including two in the playoffs and went 13-3 in the first 16 playoff games. What I’m trying to say is the 2017-18 Vegas Golden Knights were damn good, yet, one of their best players is not afraid to say this team is better. Many guys kind of danced around the question saying last year is last year, but you could tell, the insinuation that this team is as good, if not better, wasn’t a crazy thought. The most direct, before I spoke to Marchessault, was from Alex Tuch, who didn’t hesitate when he said. “Yeah, I really do believe so.” He couldn’t really put into words how or why (mainly because he didn’t want to disparage anyone from last year’s team, understandably), but you could tell he believed it. Then there was the head coach. 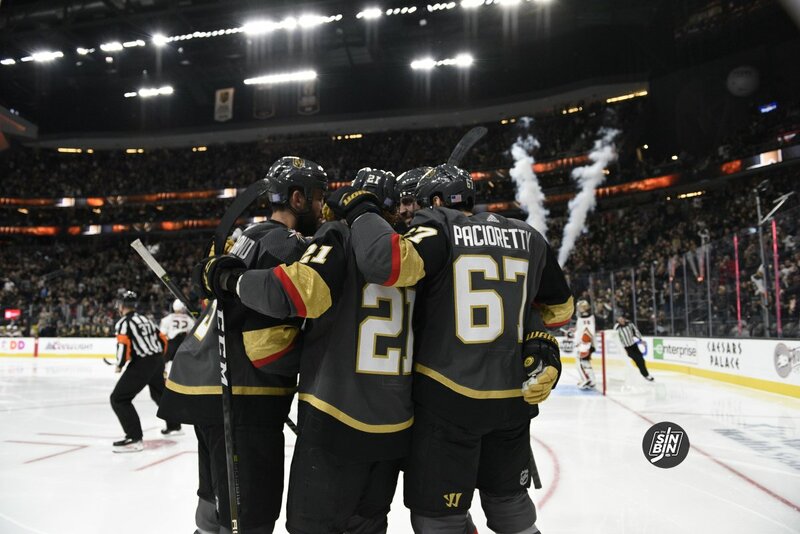 The current Golden Knights are on a 19-4-3 run since Nate Schmidt returned to the lineup, are currently on a seven-game win and ten game point streak, and have found themselves tied or within a point or two of the Pacific Division lead for the last few weeks. Yet through it all they’ve been without multiple key pieces. Nate Schmidt missed 20 games, Paul Stastny was out for two months, Max Pacioretty has been in and out of the lineup, Alex Tuch missed time, Erik Haula might be out for the year, Colin Miller has been out for the last seven games, all in all, the Golden Knights have not played a single game with their entire roster (and have only played one missing just one normal starter). The Golden Knights have played more than half the season missing a player in both their top-six forwards AND a player in their top-four defensemen. Even during the recent seven-game run, Colin Miller has missed it all and Max Pacioretty missed four of the games and Reilly Smith one. Last year I was given a hard time by a lot of people because I said, “if the Golden Knights play well, no one can beat them.” Well, for the first time all year, I feel that way again. I’d love to see the Tampa Bay Lightning and Golden Knights go at it again to prove that statement definitively against all 30 of the other teams, but for 29, I feel confident saying it. 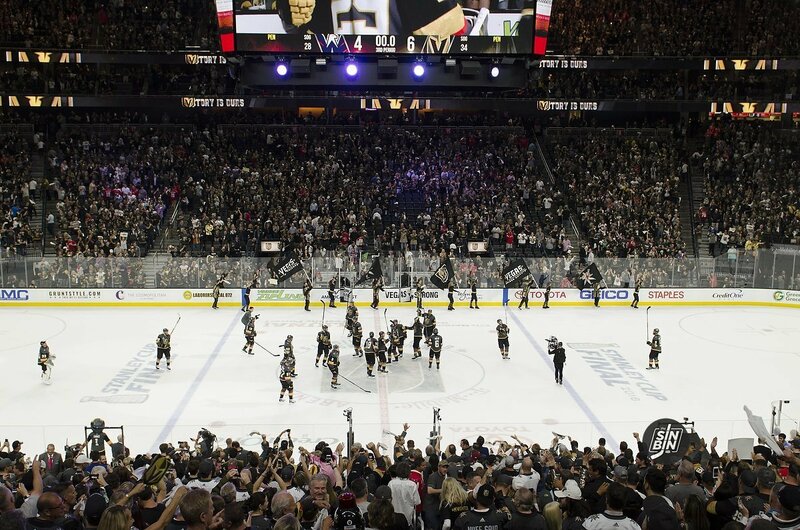 The Golden Knights are really good once again, easily among the top teams in the league, yet still aren’t getting the credit they probably deserve nationally. It’s deja vu, except this year they might be even more wrong than they were last. Good test coming up tonight. Should be exciting !! I’m sure they were just trying out their good teammates are always great. At 46 games played last season the Knights were 31-11-4 with 66 points. So from a record standpoint, so far not better. Do I think the roster is better? Yes. I think we need to see some more convincing wins over the best teams in the league to say definitively. Split series with the Caps and so far with Calgary, lost to Toronto and the Preds. We have yet to see the Jets and Tampa. Destroyed the Sharks in the first meeting, tonight should be interesting. I would like to see them play better down the post trade deadline stretch, last season were 10-9-1 in games after the deadline date. You are correct sir, I was out of town for that one. anyone think a package of R. Smith, M. Subban, and a 2020 3rd rounder could get us Pietrangelo? They can’t trade Reilly, he’s my guy! I don’t see them giving up someone who is a first liner, on a PP unit, on a PK unit and has a team friendly contract. I assert that he is the best 200 foot player on the roster. i like smith as well, but Pietrangelo would fill all those needs as well and he is a defenseman. Something this team is in need of. Actually it’s not. McPhee is managing it quite well. Considering where we are as a Franchise, compared to where we should be and all the injuries. I think we are right on course. You will start seeing our youth come into play in the next 2-3 years.